It is time of the year again to prepare for TEOSL Arabia conference. I can’t deny the enormous amount of skills I have learned in the last year while helping this non-profit organization. TESOL Arabia is one of the most prominent TESOL organizations in the ME and the gulf region. This means lots of responsibilities and commitments. I feel proud supporting this organization and offering help in renovating their main website to a new dynamic site. The new one is actually based on a CMS system. It was a great opportunity for me to learn about CMS integration and its dynamic structure through working on this project. Additionally, I help in maintaining their conference site which is a serious duty indeed. With hundreds of proposals, request from members, inquiries about proposals and updates that take place for months before the conference, I sometimes feel it is a big job indeed. Finally, here comes my baby project which was introduced for the first year ever in 2010. 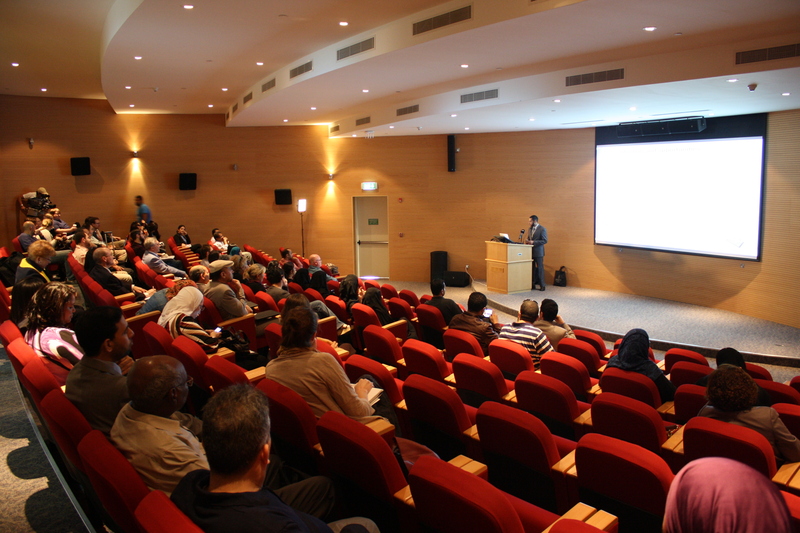 It was the introduction of TESOL Arabia Conference Online 2010. This initiative meant to promote TA internationally and to bring the conference to the world. Thanks to Josephine Kennedy of the HCT and Mashael Al-Hamly or Kuwait University for their support. As conference Co-Chairs, they offered me a great deal of help to introduce this idea. Since I personally believe in start small think big, I am sure that this project is going to grow to become a crucial element of TA yearly conference by years. Because of all the limitations we experience in this context, we need to think for alternative ways for professional growth and development.To need to come up with the solutions rather than wait for them to approach us.So, since TACon Online came as a touchstone towards cloud computing teachers and educators in this region can find a good space for networking, sharing and professional interaction in the virtual world.